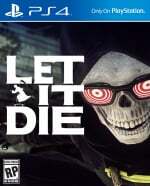 Starting life as the illusive PS4 exclusive Lily Bergamo, the curious Let It Die stands out on this list by virtue of being unlike anything else. Billed as an extreme action game with a soundtrack composed by over 100 artists, the title sees you fighting through a treacherous tower under the watchful eye of a skateboarding grim reaper named Uncle Death. The twist here is that each time you die, your character will live on in another player’s game, making for an original asynchronous multiplayer component that keeps the experience feeling fresh. 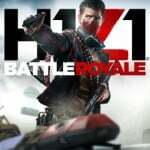 Of all the free games in this list, H1Z1: Battle Royale comes the closest to replicating the feel of PUBG. The popular shooter sub-genre may be dominated by Fortnite, but this grittier alternative ditches the building mechanics in favour of a more realistic battleground. The gameplay is as you'd expect: 100 players duke it out in an ever-shrinking arena, picking up better equipment and weapons along the way. If you want the battle royale experience but are put off by Fortnite's cartoony looks, this is well worth a try. In this free to play fighting game, you play as one of many legendary characters battling for their chance to enter Valhalla. It plays out similarly to a certain other popular 2D brawler -- you defeat your opponents by knocking them out of the arena or off screen with a simple set of moves. There are lots of characters to choose from, each with their own movesets to master, and you can enjoy the game either locally or online. It even features a few alternate modes if you ever tire of the traditional method of beating each other up. 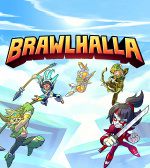 Slickly presented and lots of fun to play, Brawlhalla is PS4's best free fighter. Hi-Rez Studios knows how to make a good rip-off, doesn’t it? 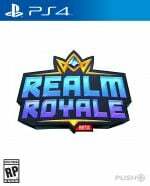 Not content with aping the likes of Overwatch and League of Legends, it’s taken on Fortnite with the fantasy-inspired Realm Royale. Despite first appearances, this is a really slick game, with a great arsenal of weapons and a neat respawn twist which sees you temporarily turned into a chicken before you eat the dust. It gets very few points for originality, but this is still one of the better Battle Royales on the PS4. 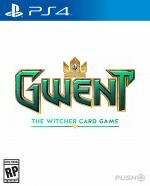 What started out as a dangerously addictive optional activity in The Witcher 3: Wild Hunt has blossomed into a full digital card game, and developer CD Projekt Red has done a fantastic job of keeping it updated. Tactical and packing a lot of depth, Gwent is a flashy, intricate strategy title, and one that's surprisingly easy to wrap your head around after just a handful of matches. Sporting some excellent artwork, it's also a treat for the eyes at times, and The Witcher's engrossing dark fantasy vibe tops the experience off perfectly.